Happy (almost) New Year! OK, so it’s still December, and not quite time to celebrate with party hats, streamers, and noisemakers… but since January is right around the proverbial corner, it feels like a great time for me to divulge my 2016 word of the year – and then invite you to do the same! I’ve chosen a special word at the start of the past couple of years, and in both cases was excited about using my words to inspire me pursue my goals… but to be honest, I didn’t do a whole lot of followup in the months to come, so my good intentions ended up falling by the wayside. Rather than use this disappointing outcome as an excuse to skip out on picking a new word for 2016, however, I’ve decided to look at the situation as a learning experience to make this year different. Move forward or onward in space or time. Forward or onward movement toward a destination. I have a LOT of progress that I’m planning to make in the year to come and, following my own advice in my BlogHer post, will be telling you all about it on January 1, 2016 (my birthday!) in the first post of a special 2016 blog series. I hope you’ll stop by and check it out, and stick around to support me as I work towards achieving my goals. Note: This linkup will be open until the end of January 2016, so you have LOTS of time to write and add your own post! Write and post an entry in your blog about the word you chose for 2016. Click the “add your link” button below and share your post. Click “get the InLinkz code” below and add the linkup code to your post. Visit and comment on some of the other posts listed in the linkup. Laurel, so love that word ‘progress’ – I use it a lot in my life after 50. I often feel like I’m a work in ‘progress’ and like to think I’m moving forward. Good luck in the new year and keep moving forward. 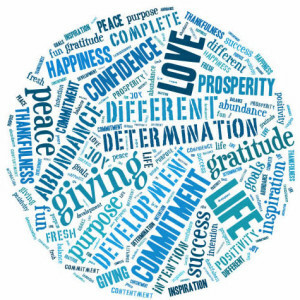 Judy Freedman recently posted… It’s Time to Positively Rock In the New Year! Love it, Barbara! And yes, I think you should definitely write a post! 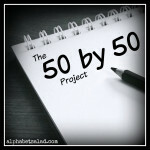 Love the idea of using your blog to stay on track with your new year resolutions. Accountability, Support and Inspiration are the key points, I agree. Wishing you a very happy new year, Laurel! Love! I was not even going to pick a word this year. I forgot about mine before January 2015 was done with, yet it ended up describing my year so perfectly. So here I am with this year’s word: DETERMINATION. Tomorrow, my post will go live. Great word, Alana – looking forward to checking out your post! Great word, Leanne – looking forward to reading your post! Great choice, Lauren and you know I loved your post on BlogHer. I will be doing a #woty post tomorrow and will share it here. Thank you for creating this linky! You’re most welcome, Corinne – looking forward to reading your post! “Progress” is such a powerful and positive word Lauren! I feel the need to incorporate that in my life too….’for all the work in progress’ to move ahead and make way for newer projects! I agree, definitely powerful and positive! Loved both your posts, Lauren. Lat year I had picked the word Embrace and this year it is Focus. I need to zero in on many important things this year. I hope I can. Good luck with your woty and wish you a happy new year. Thanks for creating the linky. Thank you so much, Shalini, and a very Happy New Year to you as well! Progress is what we all desire! Nice choice of a word. Happy New Year! And I’ve decided that I am going to have a word for the year too! Excellent! Happy New Year to you! Wonderful word for 2016! Mine is ABUNDANCE this year. Hopefully this will keep the “Can Is” and “Should Is” away and just leave room for allowing all abundant things to enter my world. Wonderful word, Ravyne – thank you for sharing! 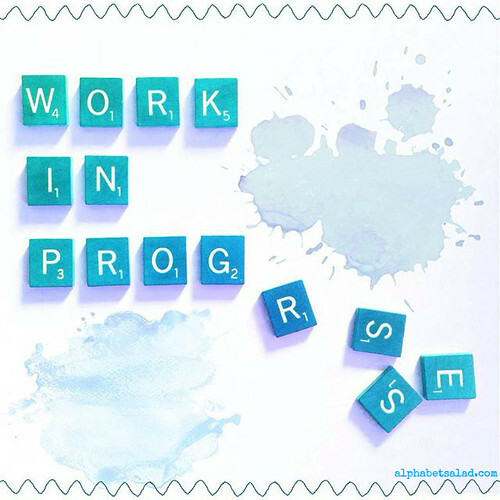 I love the word Progress…and I’m sure you will see a lot of it! Happy birthday and Happy 2016 Laurel! I hope it’s a wonderful year of promise and progress. Thank you so much, Sanch! Happy New Year! Love your word for 2016! Mine is Enjoy! Thanks for hosting this link up – Happy New Year to you and your family. That’s a great word and I am sure you can do so much with that one. Great choice. WOTY is an impressive thing but I have not been able to think of something. There is a lot that I would like to do but sure if that will be my word for the year. It’s challenging to come up with a word, but so inspiring when you do! Good luck! I also want to spend less time online in 2016 and write more. Progress is such a positive word and definitely attainable. Will look forward to seeing how your word unfolds. Thanks for hosting the linkup. Wishing you an awesome 2016 and progress in leaps and bounds. Thank you so much, Suzy! Happy New Year! I love your idea with the use of Word of the Year. It took me a lot of thoughtful consideration before I was able to choose a word of the year, but I finally have come up with one and will have a post live tomorrow with it! Excellent – looking forward to reading it! Love your word and thanks for hosting the link-up! Great word and great way to look at both the noun and the verb side. Wishing you lots of progress in 2016! Thanks for hosting. Great word! I love it. I have no idea what to chose. Thank you! It can definitely be challenging to come up with something that really works for you. About ten minutes after this comment I realised what it would be. Obvious actually. Great idea Laurel, glad to read your post today. I have been missing you and thanks for this post. Its making me think and I would definitely would like to come up with one word for the year for myself in my post. I love the image “work in progress” wishing you the very best. G Angela recently posted… Birthday of My Dad! & Wedding Anniversary of my Parents !